Electric scooters rest along a sidewalk in Austin, Texas. You see them on the streets of San Francisco, Austin, and Oklahoma City, to name a few. Dockless electric scooters. Now, the city of Omaha will study whether they make sense here as well. According to Derek Miller, the city’s Long Range & Mobility Planning manager, a pilot is scheduled to begin in mid to late April. It will run through November. 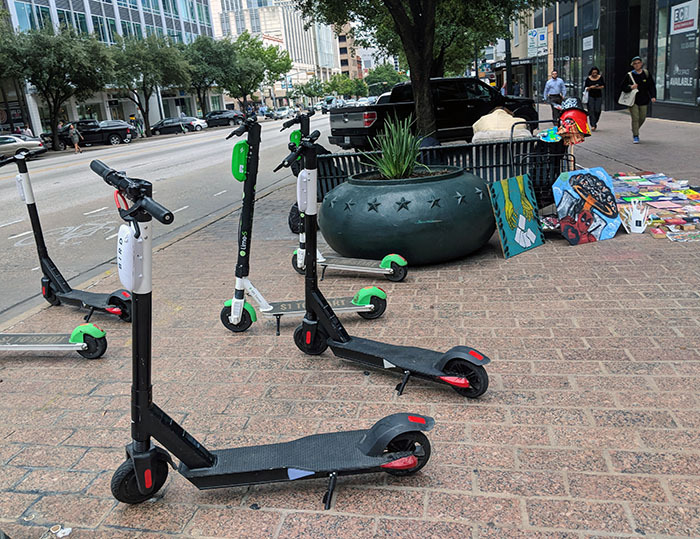 Most of those scooters will be located in the downtown area, as a way to help ease vehicle congestion and provide speedier alternate transportation for pedestrians. To rent a scooter, users would need to download an app and pay a per-minute fee. The vendors set the price for riders, Miller said. But the price is usually around one dollar to start and then 15 cents per minute. Since they do not have docks, users will not have to return them to a specific location. “They will most likely be congregated in and around the downtown area,” Miller said. To participate in the pilot, the companies must pay $10,000 for a permit, plus 50 cents per scooter per day and 5 cents for every ride taken. They must also provide the city with information on their pricing (which may include discounts for low-income users), safety records, public communication plans, history of complaints and insurance coverage. Miller said the vendors assume all liability for injuries, cybersecurity and property damage. The city is also considering setting up parking zones for scooters, enforced by Park Omaha. Jodi Baker writes stories and shoots videos for The Wire. 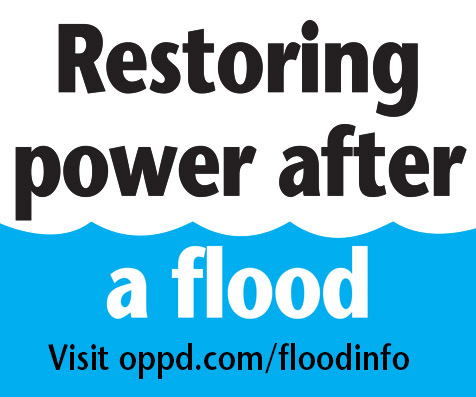 Jodi was a television news reporter before she came to work for OPPD as a media specialist in 2013. She's married with two children (a boy and a girl) and an allergy-ridden little Cairn Terrier.